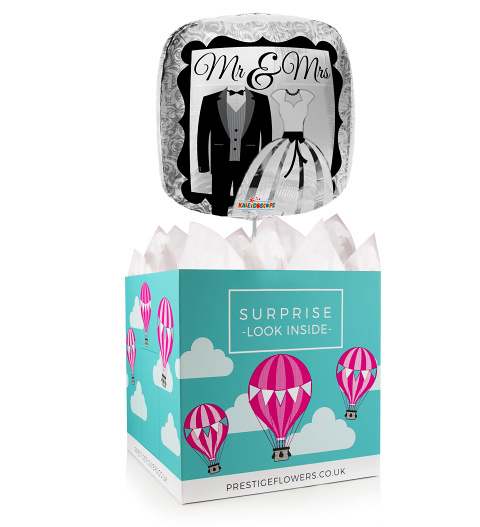 A beautiful 18-inch helium balloon and gift box to congratulate the happy newlyweds. Feel free to include any of our optional extras such as cake, chocolates, wine, or cuddly bears. You can also include a personal message.